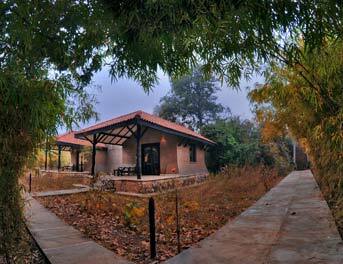 Kanha Earth Lodge is spread in 16 acres of natural forest, tucked away in a small hamlet bordering Kanha’s buffer zone. 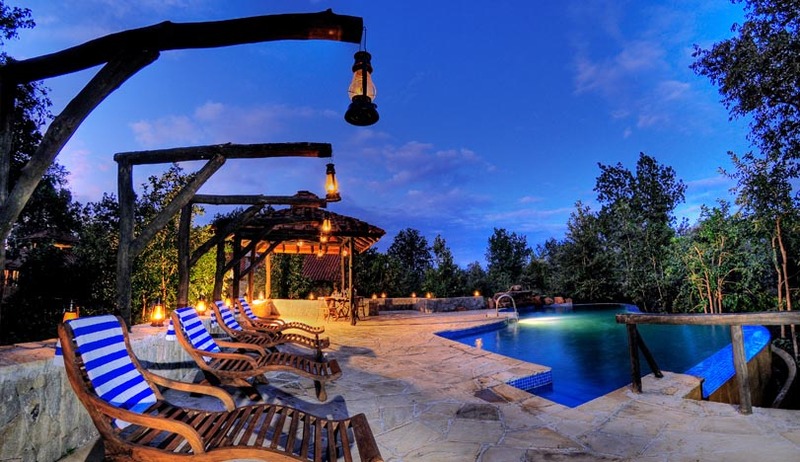 Its unique location, 30 minutes from the Khatia/Kisli park gate, ensures that it is close enough for easy access to the park, but still far enough from the glut of hotels lining Kanha’s tourist hub to offer guests a true wilderness experience. 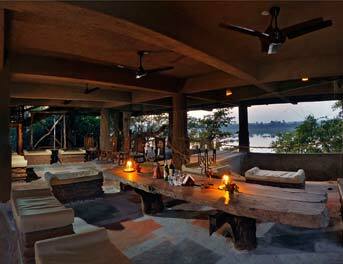 The 12 luxury bungalows with large open verandahs have been inspired by Gond tribal architecture and offer environmentally sensitive, low-impact accommodation through their design and use of local stone and waste wood. While the absence of neighbouring lodges or highways creates an ideal setting for nature walks, birding and cycling trips through the surrounding forest. 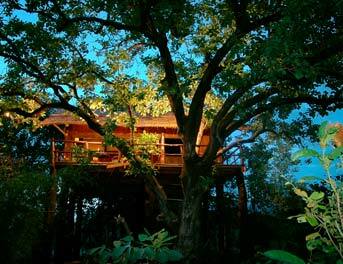 12 Cottages inspired by traditional Gond architecture. 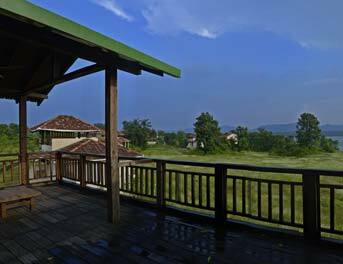 All cottages with dressing rooms, writing table with chair and large balconies. 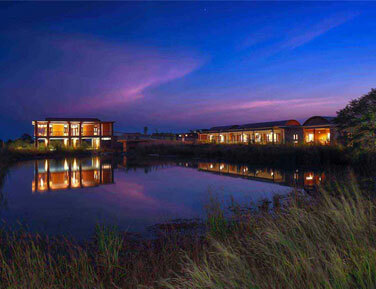 All cottages equipped with intercom, air conditioner, 24 hrs hot and cold water & power back up. Multi cuisine dining hall and lounge. Nature shop with a variety of local crafts on offer. An infinity pool set between Mahua trees. Jabalpur - 176 km. | Nagpur - 270 km. | Raipur - 225 km. Jabalpur - 176 km. |	Nagpur - 270 km. | Raipur - 225 km. 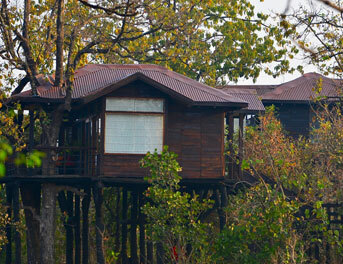 Jeep Safari, Elephant Safari, Bird Watching, Hides, Tribal Village visits, Crafts Workshop, Nature Walk, Cycling.